Everyone surely wants a secure home as well as a secure work place and even when they are away they wish to ensure that their home and workplace are safe and secure. This is when the security cameras and surveillance systems come into play. 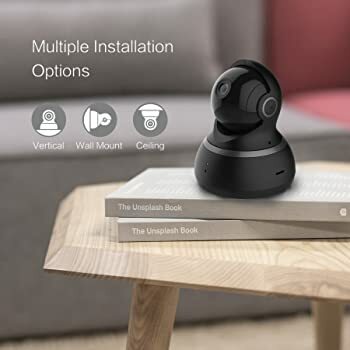 There are many different security cameras available in the markets these days, among them the YI Dome Camera 1080p is one of the leading and reliable security systems available. This security system covers a wide range of area and makes sure your house or workplace is completely secured no matter you are around or not. The 345 degrees horizontal and 115 degree vertical tilt makes sure that it covers almost 360 degrees rotation to cover a wide area at once. The glass lens incorporated in it gives a high definition image and recording and crisp visual. Even in the worst of the environmental condition this dome camera can work wonders and give you clear images of the area around. The images obtained are in 1080p HD quality. 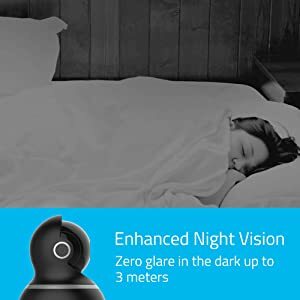 The night vision of YI Dome Camera 1080p is extremely powerful and makes sure that it extends up to 3 meters in the darkest of the night, giving clear images. The 8 940nm LED beads improve the visual capacity of the camera to a large extent as well. The audio system is two-way in comparison to 1 way audio for most security systems available these days. The anti-noise filter built-in the system clears out unwanted sound and makes communication possible via the security system. The intercom mode enables the speaker to speak freely while the listener listens whereas the hands-free mode allows both the speaker and the listener to speak freely and listen clearly at the same time. The activity alerts and the motion tracking are also two attractive features of this product. The feature provides with some real time security alerts and can sense un-predicted motion within 10 seconds. In this device you can even bookmark up to 8 positions as your favorites and view them just by a single click of a button. The Auto-Cruise option also allows you to have a look around 360 degrees with a quick scanning mode and detect any kinds of movements. 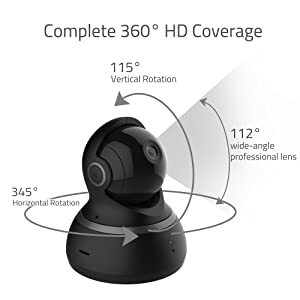 YI Dome Camera 1080p makes use of a single interface for its activity. The device is very user friendly and the wireless structure makes it possible for users to make use of the various features along with the compatible app as well. Be it the safety of your family and your belongings at home or your workplace this camera is capable of taking the responsibility of all of it. It is very easy to use and there is not much trouble in installation of the device as well. The memory of the device can be extended up to 32 GB and you can store as much as videos of the length of 64 hours approximately at ease. You can store the videos on the cloud as well and make sure that you can utilize them quickly as and when you require it. There is no subscription fee required for the storage and the recording of the videos at large. However it is advisable that you make the best use of the device and to be on the safe side take an added backup for your important videos from the ones recorded. The material used for the making of this device is strong and durable and it helps to increase the longevity of the product. In the harshest of the conditions this product is seen to provide the best of the outputs and the consistent performance all throughout. It is available mostly in black color. The shipping weight of the product is about 0.85 pounds and thus it is extremely light and suitable for the purpose. The dimensions of the products are 4.33* 3.66 *2.52 inches in length breadth and height respectively. The image is of 1080p HD quality. Overall this product is one of its kinds and it has made a great impact with its performance among the users. There are quite a number of features which are exclusively available for this product and the price paid for this amazing product is worth it. However light all products have certain positive as well as negative aspects, this one has it too. The night vision of the YI dome camera is wonderful. The motion sensors can detect the slightest movement in objects around and send alerts to the users with the help of apps. This is one of the very attractive features of this product. This makes it easier for busy people to keep track of certain movements. The glass lens incorporated in the camera provides crisp images and makes sure that all the images obtained in the range of view is clear and well defined. It has almost 360 degrees of visual range which is pretty good compared to other security systems. There is noise reduction filter incorporated in the device as well as both way communication facilities. The technical support provided by the company in case of certain assistance is not good enough. The apps that are used, compatible with the device might be annoying at times as it keeps on sending some advertisement alerts to certain users randomly. For increasing the memory capacity of your device you need to incorporate the Micro SD to your device and connect it with a PC to get going. Overall this is a very good product and has a lot of benefits and added features compared to its peers. 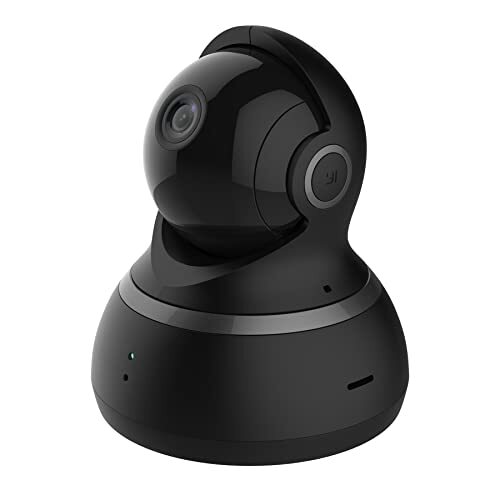 The popularity of this YI Dome Camera 1080p is increasing each day. So make sure you go across its features and satisfy yourself before making your choice for the next security camera.